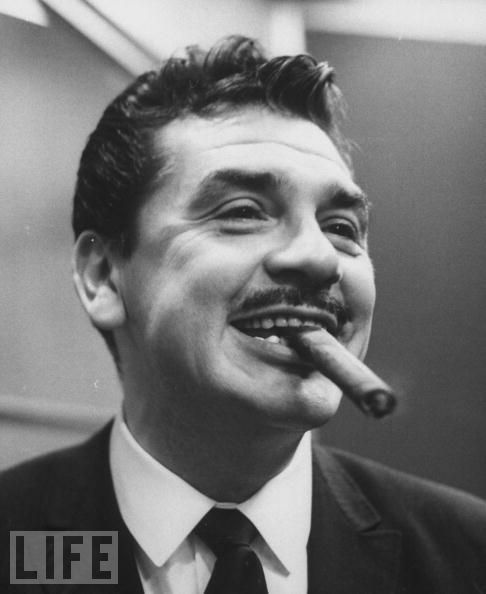 The problem with the great quote above is Ernie Kovacs was a magnificent exception to that rule. For those that know about Kovacs, it might be of interest to know that a new, 13-hour collection of his television work will be released this coming April 19th. Those that order it directly from the manufacturer’s website will also receive a bonus DVD of material culled from his guest host appearances on Tonight! (later known as The Tonight Show) and The Ernie Kovacs Show (a late night talk show that ran on a local station in New York City). As I don’t want to make this into something totally commercial, just use any search engine and all of the details on this upcoming release will come right up. For those that have never had the pleasure of viewing the work of this man about whom Jack Lemmon said was always 15 years ahead of everybody else, just go enter “Ernie Kovacs” at YouTube. It’s hard to get a full sense of Ernie’s work in those clips as they detract from the overall surreal sense of his shows where a regular-style comedy sketch would then be followed by very brief and seemingly nonsensical sight gags (often with very odd music playing in the background). Still, it’s not a bad way to become familiar with a man who did so much with so little and was more bizarre than Monty Python’s Flying Circus, more avant-garde than SCTV, and more random than the glory days of Saturday Night Live. Why did I bother posting this? For seemingly no reason whatsoever, Ernie just popped into my mind the other day. I cannot explain why. Ernie would probably find that to be very appropriate. Posted in Media, TelevisionBookmark the permalink.